Get ready for some serious polish smackdown! I have been sitting on my Elevation Polish order for a few weeks now. Mainly because I wasn't sure which to start with first and secondly because I have so many untrieds these days that I need to to try and get through some of them so I seem less insane for acquiring so many polishes at once. If you haven't heard of Elevation these polishes are amazing! Check them out on I Dig Brown Polish. The creator Lulu has some of the most coveted polishes in the indie polish sphere. So of course I couldn't pick one when I set down do do my manicure. 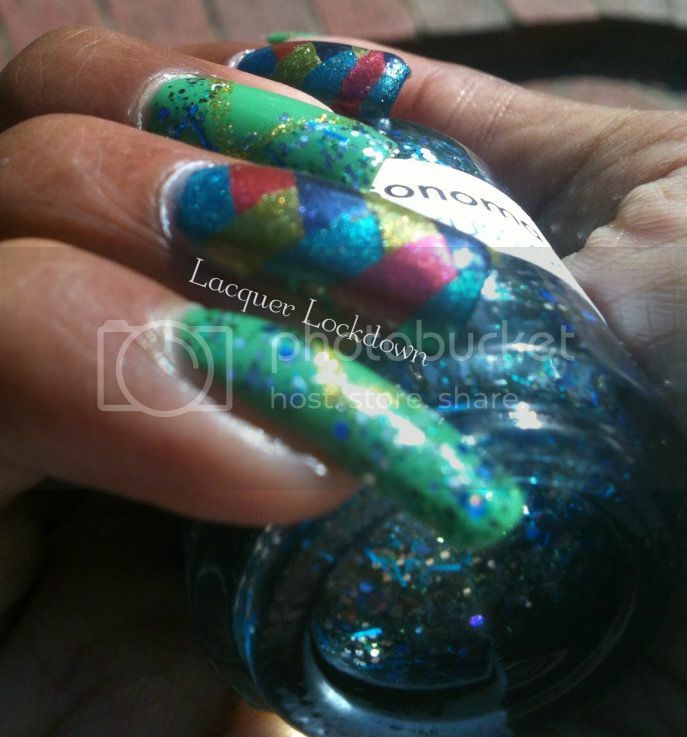 I got the idea for a braided fishtail manicure from Nails Like Lace and then added my own geometric accents. The result was a braided fishtail manicure featuring Owen, Ubsunar, Pata on the Back, and Aurora with Essie's Mojito Madness and Sonoma Nail Art's Russian River Glitter accents. Now let's talk formula! Pata On The Back and Ubsunar were 5 star wonders both in density and intensity of formula and ease of application. 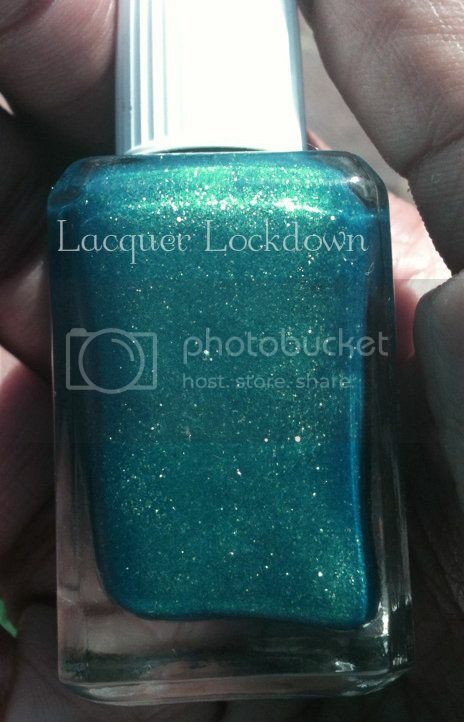 This was also true for Essie's Mojito Madness, a lime green cream that was opaque in gasp one freaking coat! Essie has been killing me with their spring and summer collections this year and I am super impressed! I wanted Owen and Aurora to have the same formula as Pata On the Back and Ubsunar, however maybe it was because of the density of the shimmer, but they were much thicker and a bit more difficult to apply since the polish dried rapidly. They reminded me a bit of working with crackle polish i.e. the need to be quick and concise, but the simmer in these two made it well worth the effort so 4 out of 5 stars. As an accent I used Sonoma Nail Art's Russian River, which went beautifully with Mojito Madness, it also gets 5 stars for formula and ease of application. 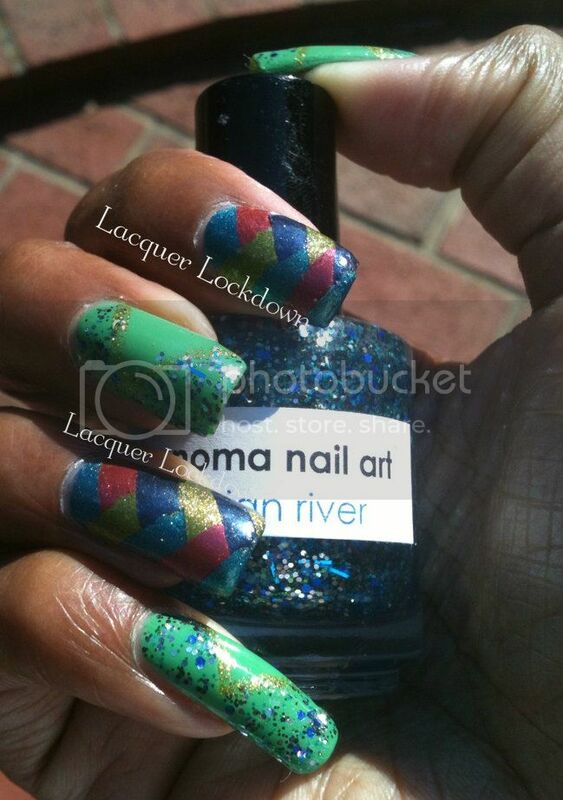 Finally, I used my LA Colors Nail Art stripper in gold glitter to add a geometric twist. What do you ladies think? This fishtail took me 3 hours. 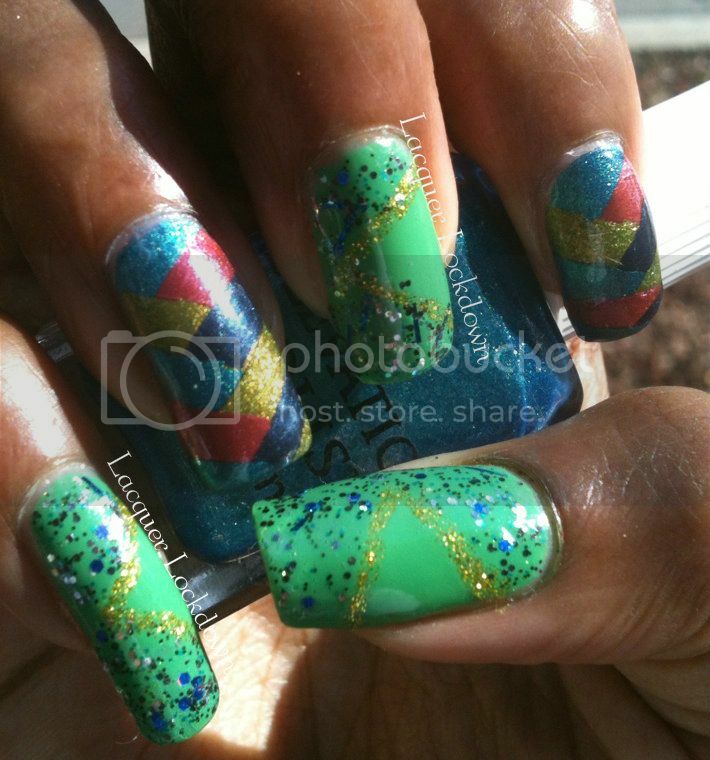 I used Color Club Dry Ice to speed the drying process and my beloved Poshe Fast Drying Top Coat. It was exceedingly difficult to capture the hue of Owen but I finally got it! All this sparkle makes me happy! Just seeing what I could do with the Elevations makes me eager to try other combos of the fish tail! This is probably one of my favorite nail art manicure's to date! It looks so intricate and yet simple simultaneously and trust me that is tough to pull off. Plus look at all that shimmer from the Elevation Polishes, and the yumminess of Mojito Madness combined with Russian River! There wasn't one polish I didn't love here! I cannot wait till the next Elevation restock, but let me give you some good news. Fingers Polish Mania is doing a giveaway of Elevation's 180 degrees collection - here! Ugh of course I entered since getting my hands on Lulu's amazing polishes is no mean feat, but you should likewise enter too as the colors of this collection are amazing - see them here. Will you be entering? Do you have any favorites in the collection or must have Elevations? I do - everything lol! Thanks for reading and toodles!